Industrial wire shelving has no cross braces which allows access to shelving on all 4 sides. 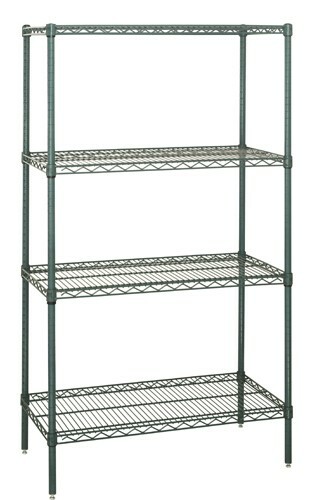 Our Proform Wire Shelving is made with high quality carbon steel treated with a zinc phosphate base. 15 year manufacture's limited warranty for antimicrobial finish to not rush or corrode. The 4-shelf Proform kits are available in heights of 54", 63", 74" or 86"
Click on the height you want below to see the shelf sizes available in Anti-bacterial shelving.